Size Small, New Warehouse and More! Home Diaper News Size Small, New Warehouse and More! 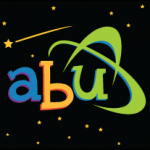 After months of work and planning, we are proud to expand the ABU Family to the east coast! Assuming your desired purchase is in stock, it will ship from the nearest warehouse to you beginning the week of March 6th. The Elkridge, Maryland location (just south of Baltimore) will also be open for will-call beginning March 13th. NEW "Standard" & "Tall" DiaperSuit™ Sizing! You asked for a wide range of size options and they have arrived! ABU DiaperSuits now come in two sizes! Standard and Tall. What's the difference? Tall DiaperSuits have 3 extra inches in length. After a brief shortage in product inventory we are happy to announce that our warehouse(s) has been replenished! Everything excluding PreSchool Plastic is back in stock and available for purchase. All Orders will be shipped out on or before Friday, March 10th from the nearest warehouse with your full order in stock!